Good morning and welcome to the blog. I've another sample from the latest Tonic Studios launch to share with you today. 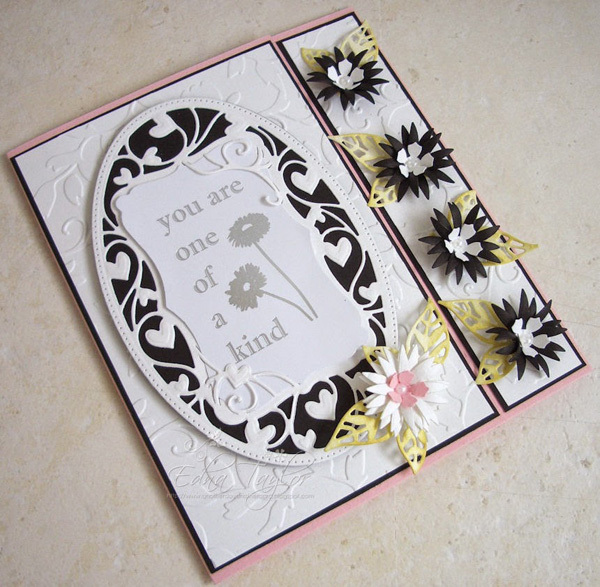 I've loved working with these dies and I hope you enjoyed the demos brought to you by Jodie on Create and Craft. I still get a real buzz from watching something I've been working with on my craft desk appearing on TV and being demoed! 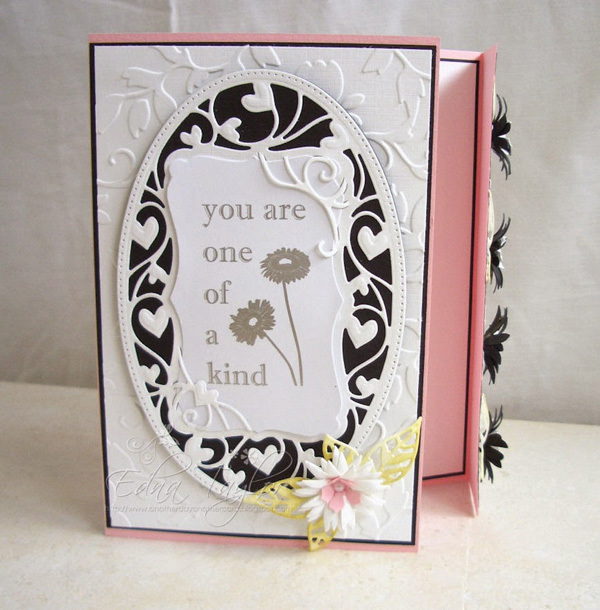 I just love the pin prick detail on the edge of the oval die. It's not something I would want to do very often and I very much doubt I'd get it so even by hand. The little hearts are all embossed and are so dainty. I think this has to be one of my favourite sets so far! Hope you enjoy this one today. PS. 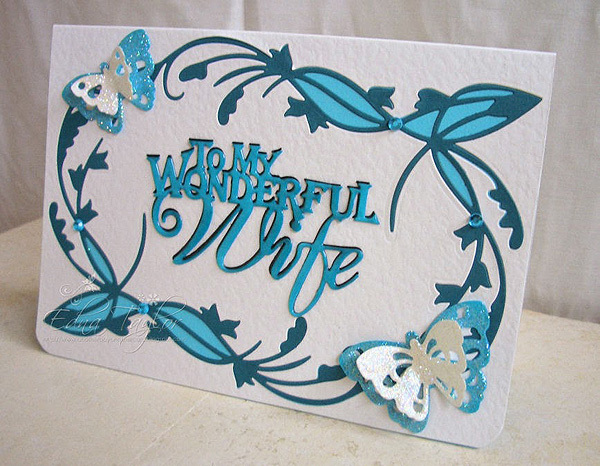 To see a tutorial on how Edna creates her inlaid die cut cards, pop over to her blogpost here.